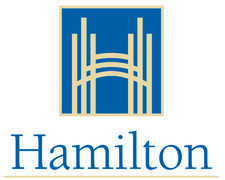 Welcome to the Hamilton Public Art Map! On this map, you can learn about public art projects completed, planned or in process. Public Art is defined by the City of Hamilton as art created by artists or in collaboration with artists through a public process and existing in publicly accessible City of Hamilton property. You can no longer add sites or comment on sites as these features of the map are now closed. Many thanks to those who suggested new priority public art projects to implement as part of the Public Art Master Plan Review in the Fall of 2015. Suggest a community mural reflective of recent immigrants and diverse cultures that live in the area. : Multi-Use Path along Barton Street – start point Fruitland Rd. Multi-Use Path along Barton Street – start point Fruitland Rd. : Delta Park - corner of King St E. and Rosslyn Ave N.
Delta Park - corner of King St E. and Rosslyn Ave N.
Consider as a gateway project. Princess Point is part of the Cootes Paradise Nature Sanctuary owned and managed by the Royal Botanical Gardens. Negotiations with the RBG would be required to acquire permissions for a public artwork on this site. Would like to see a public artwork that acknowledges Inch Park as the “Home of Challenger Baseball”. Maybe a sun shelter or mural? Paint the tanks you see from the highway. The Waterdown Memorial Ice Loop at Memorial Park begins construction in 2015. The design includes a pedestrian area at one end which would be a great place for a public artwork. Create art work for the bridge columns that support the raise section of Burlington street. Result being the large outdoor art gallery about Hamilton. A large scale gateway art work proposed for the new entrance to Confederation Park at the base of Centennial Parkway; theme to be determined. Sam Lawrence was a Canadian politician and trade unionist. Artwork about the life/ideals. Location: At Sam Lawrence Park at 255 Concession S (at the eastern-end) or in the loop of the Jolly Cut.The park is named after him but there could be a public artwork as well. Alcoves in the four columns of the bridge have remained empty since it construction in the 1930's. Should there be a public art call to fill them? The bridge is a designated heritage structure and therefore heritage permits may be required for this project. Status: project did not proceed; the competition closed as of May 2013; jury concluded that, based on public consultation, none of the proposals adequately addressed current community priorities. Park named after Billy Sherring, athlete of St. Patrick's Athletic Club, the winner of the marathon race at the 1906 Olympic Games. He also won the Hamilton Around the Bay Road Race twice. There is a plaque at the park but maybe artwork could be incorporated there. Location: Upper James St and Homestead Dr. This artwork site would have city-wide interest because of the aviation history of the area. It was a WWII training ground and 14 soldiers are buried at nearby Mount Hope United Church. Public art project could improve the environment of the bridge. The chain link fence is ugly. : Pipeline Trail at Kenilworth Ave N.
Artwork on Kenilworth Ave N.area where it intersects the Pipeline Trail; proposed theme – water infrastructure. Pipeline Trail at Kenilworth Ave N.
Suggest public artwork to recognize agricultural history of the area e.g. the deLottinville family as the park is part of their original farm. DeLottinville family came here from Quebec in the 1800s and farmed here for more than a century. Location:Creekside Drive between Hatt St and Ogilvie St. Direct Commission: Mural, depicting the old city hall building and the outdoor market vendors. Either a mural on the maintenance / washroom building or child friendly artwork along the pathway would be great. : Permanent, physical public artwork sited in Hamilton that encourages additional interaction in a digital format. Suggest a permanent, interactive public art work that encourages the viewer to continue the interaction in another medium (e.g. online) based on the theme(s). Location of the permanent work to be determined. Permanent, physical public artwork sited in Hamilton that encourages additional interaction in a digital format. Series of works along walking/running trail that depicts history, culture, environment. NOT didactic signs. Suggested public art project - something that may be part of the Fruitland Road construction. There may be visual traffic calming once the new Fruitland Road is built in Fruitland-Winona and the subdivision is built...more funding to enhance this, to allow for a creation of a greater sense of place would be beneficial, especially if it were more artistic than the usual/technical solutions. : Multi-Use Path along Barton Street – end point Fifty Road. Multi-Use Path along Barton Street – end point Fifty Road. Sculptor Tom Otterness is known for his playful characters, which he has now expanded into full size, functional playground installations. The Gore would be an ideal location for such a work, combining form and function into something missing from the park... a playground. A permanent artwork(s) to emphasize King William as an arts location. May work as a series of projects along the street connecting James Street North to Ferguson Ave.
Public art around playground that children can play on/interact with. Large scale work celebrating Hamilton's innovation in electricity in the last century, inspired by Nikola Tesla and implemented by the 5 Johns. The basis of Hamilton's industrial strength. Location: on Waterfront Trail between Lakeland Pool and base of Burlington Street East. : Gateway Public Art - Centennial Parkway at South Service Rd. Gateway Public Art - Centennial Parkway at South Service Rd. Public Art work as part of a future skating rink project that is under consideration. Location: 150 Violet Dr., Hamilton. Medium Scale Parallel to trail so you can see it from below. High-traffic location at the top of the Chedoke steps. The new bus shelters are ugly and don't provide enough shelter. I would like bus shelters that incorporate public art that talks about the area - maybe on the glass panels - while giving transit users shelter from the rain and wind. Public Artwork thematically linked to early Black community on Hamilton Mountain. A series of public art projects that address the stories of music and musicians across Hamilton	City-wide project needs to be coordinated with Hamilton Music Strategy. Hamilton is a city of Immigrants. This large scale would signify that all are welcome, past present and future. A great location for temporary or performance art. Project multimedia art onto the large blank wall. Could have sound and feature a number of different artists for Art Crawl evening and other nights. Could be at other locations too! Description: Some form of Public Art (glass, metal) to be placed on the interior glass panel (perpendicular to the structure, adjacent to the benches), a side panel of the structure, or within a casing similar to the map case. The final placement within the shelter and the art medium will be determined through the City of Hamilton’s Public Art Program processes. If project moves forward, partial funding may be provided by the North Wall Riders Association. Location: to be sited at City Hall in the grass area at the corner of Hunter St W and Bay St S.
Artist Becky Katz and youth from the YMCA Hamilton Youth Arts Network. Donated Artwork: Gift to Hamilton from the Government of India, this slightly larger than life size bronze statue of Mahatma Gandhi stands on the west grounds of Hamilton City Hall. Completed Project - Two benches, cast concrete. Artist: Yvonne Felix, with Jesse and Adam Stanislad. Completed Project: Bench, cast aluminum with powder-coated finish. Description: Bronze sculpture, larger-than-life figure of Queen Victoria. Stretched semi-recumbent at her feet is a lion. All mounted on a stepped plinth with dedicatory plaque. Completed Project: Abstract form with two bronze figures. Donated by the Ukranian Canadian Congress, Hamilton Branch. Almost life-size, seven bronze figures wearing traditional Ukrainian clothing are portrayed striding along a road to a new country . Stainless steel mounted on a base panelled with marble depicting successful receiver being tackled. Currently located at Canadian Football Hall of Fame and Museum at 58 Jackson St W.
Donated by Stelco Co.Mural depicting Hamilton's environmental, socio-cultural and industrial heritage. : Niagara Escarpment Stairs - at Margate Avenue and Mountain Brow Blvd. Public artwork(s) to mark the top of the escarpment stairs, suggest at Margate Avenue and Mountain Brow Blvd. Niagara Escarpment Stairs - at Margate Avenue and Mountain Brow Blvd. Completed Project: 16 stainless steel crows. Commissioned by the Waterfront Heritage Trust. Three bronze figures of children on concrete and stone base. Location: Waterfront Trail, near Beach Blvd at Van Wagners Beach Rd. Waterfront Trail, near Beach Blvd at Van Wagners Beach Rd. Location: City Hall, corner of Main and Bay. Donated by Frederick Justus Howell. Carved wooden totem pole in traditional west coast form. Completed Project - A frieze of ninety-two relief sculptures in red stoneware. Completed Project: Two haut relief, fire clay panels, wall-mounted. Created specifically for this location. Cast iron. Originally commissioned to commemorate the visit of HRH Edward Prince of Wales and celebrate downtown water infrastructure. In 1996, a remake of the original was built to commemorate Hamilton’s Sesquicentennial. Fabricator: 1996 replica (which includes original 1860 top bowl and finial) was fabricated by McCoy Foundry. Indiana limestone double bowl with spray from 4 bronze turtles and 4 geese. The Lyles were commissioned by Eugenia Gage to design a memorial to her deceased family members. Completed Project: Bronze statue, part of a fountain. Bronze turtle shell with a map of the world on its back, attached to stone pedestal; three other large stones are part of the sculpture and are situated on either side of the center stone. Location: Dominic Agostino Riverdale Community Centre, 150 Violet Dr.
Part of the King William Art Walk. Location: King William St., SW corner at Walnut St. Completed Project: Sculpture made of various types of wood, shaped using traditional boat-building techniques. Bronze sculpture of standing Sir John A Macdonald (1st Canadian prime minister) mounted on granite base and flanked each side with cannons. Location: Gore Park, near intersection of King St. and Hughson St.
Public art project to commemorate heritage of area on abutments of existing 1930s era bridge that is being demolished. Library will be closed for 2 years starting in 2016 for a major renovation. Public art opportunities for a smaller scale piece inside the building or near the sidewalk. Completed Project: Three paintings depicting people swimming, playing various sports and engaged in the engaged in the arts (painting, crafts). Direct Commission: Sculptural frieze. Bas-relief carved in Queenston limestone blocks as an integrated architectural element on the front façade of the former Hamilton-Wentworth County Court building. The friezes depict the agricultural and national industrial histories of Canada. Direct Commission: Figurative painting depicting golfing heritage in the form of an Edwardian vignette. Completed Project.Frieze entitled “On the Team” and 4 paintings entitled “Playground”, “Dancers”, “Swimmers” and “Piano Player”. Commissioned by Lawfield Arena’s sports user groups and the City of Hamilton. 14 panels depicting various ice activities. Direct Commission: Mural, depicting a collection of scenes and time periods of Hamilton history. Donated by Winifred Lennard: Bronze figure of boy on stone pedestal. Donated to the Town of Dundas by the Lennard family. Bronze sculpture on stone base. Bronze sculpture (limestone pedestal) of an 18th Century family group. Depicts United Empire Loyalists who, during the war of American Independence, fled to Canada and were granted land by the Crown for their loyalty.